It is not wrong to state that engineering sector is defined as the largest industrial sector nowadays. It can be easily categorized under two major scales: light engineering and heavy engineering. And finding the right candidate to drive this business forward is an important part of its ultimate growth. That’s when you need help from engineering headhunters, to find the right candidates. There are multiple firms, claiming to offer you with the best result. But, it is our team from Alliance Recruitment Agency Chennai, with specialized headhunter engineering for help. Finding the right talent is no doubt a challenging task when you have so many options. And when it is associated with the engineering department, the challenges deepened. So, it is mandatory for you to get along with the best team of headhunter engineering, ready to cover up this challenge and offers you with the desired result. We are ready to help you appoint skilled and some semi-skilled workers, as well. They fall under the direct and indirect category and can work hard to increase the value of your firm. So, we are there to help you make the right decision. Now, it is up to you to choose the best headhunter engineering, among the available lot. Competition is tough and will make it even harder with every passing day, to choose the right recruiters. Well, when you have us on your side, you need not look for any secondary option. 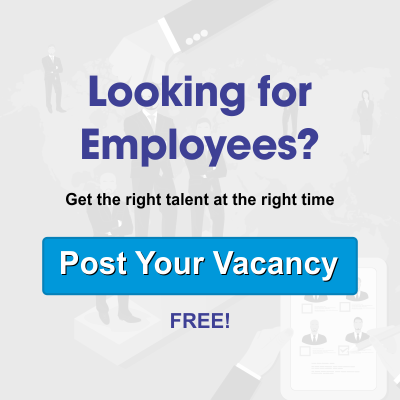 We are ready to provide you with best talent recruitment of all time. Now, this seems to be a pretty interesting point in your mind. Before you proceed further and procure help from our engineering headhunters, it is mandatory to learn the job areas we cover. Starting from E&I technician to the metallurgist, there are loads of options available. On the other hand, we can even help you to find the right civil design engineer, whom you want for the expansion of your firm. Other than engineers, there are certain times when you have to rely on the supervising operator for help. Well, catch on with us, and let us help you find the right one. We are not just providing help to the employers, but even offering help to the respective candidates, who are looking for new job roles. So, our main purpose is to bridge the gap between the firms and employees. For finding the finest engineering talent, our engineering headhunters can help you with the best choice. With us by your side, you are likely to procure effective workforce partnership with technical assistance and integrity. And that helps in ensuring higher performance from the engineering talents. Well, with the help of our reliable team, you are likely to receive the best help from the reputed engineers. We will cover up the initial stage of finding the right engineering candidates for your firm. After that, you can get along with the best engineers, happy to offer you with engineering workforce solutions. For efficient and some consistent outcome, always rely on our headhunter engineering, for help. We can even directly hire for your agencies without charging you more. Our team goes through some serious stringent quality checking procedures, before choosing your right candidate. With us by your side, you are definitely going to find the best engineers for covering up your duties. For some other details, feel free to contact us, right now.